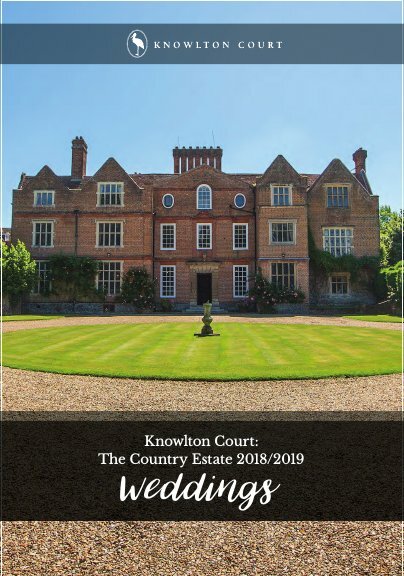 Knowlton Court has a long and rich history of entertaining, and hosting your wedding or event here would be our pleasure. Whether you are looking to hold a dream wedding, exclusive corporate event or joyful family celebration, our beautiful home and gardens provides the perfect backdrop. Our event team is on hand to ensure your event goes without a hitch; from a family party for 50 to an archetypal English country-house wedding celebration wedding for 500, we will ensure that your wedding, event or celebration is one to remember. plus Weekend appointments each month. We would be delighted to accommodate a visit at any other time to suit:- get in touch to arrange. (subject to other events happening at Knowlton). We know that every bride (and groom!) is different and we provide a blank canvas on which to create the perfect celebration. From a sumptuous candle-lit winter wedding in our magnificent Great Hall to a stunning summer celebration in our luxurious marquee, there are a number of options for your wedding at Knowlton. Country-house parties, corporate product-launches, glittering dinners and cocktail parties - whatever your event, Knowlton is a versatile and beautiful venue.